Congregate Living Healthcare Facilities (CLHFs) provide an alternative setting for the care of persons requiring skilled nursing interventions such as ventilator and tracheostomy care, wound management, rehabilitative or maintenance care following traumatic or acquired brain injury (stroke, brain bleed) or care for neurodegenerative disease processes. Agape Congregate Living offers licensed nursing care in a home-like setting of six private rooms for optimal outcomes. In this small environment, patient condition is monitored far more closely. Subtle changes are quickly identified and afford prevention or early intervention. 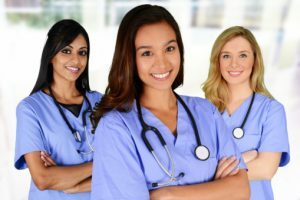 There is greater continuity of care which leads to improved outcomes as a consistent pool of nurses and ancillary staff are the only ones to provide care. Additionally, this enhances communication amongst all team members, as well. Care of the patient is truly tailored to their individual needs. Agape has the ability to “think outside the box” when determining necessary interventions for improving or maintaining a person’s health. We are easily able to partner with both the patient and their family to create a plan of care that suits their desires and abilities as well as their physician’s orders. Providing a high-level of subacute care in an environment that resembles home brings both psychological and emotional comfort to patients and families. This is especially true to those who may need long-term subacute care. Staff are very visible and available to patients which promotes a sense of security. 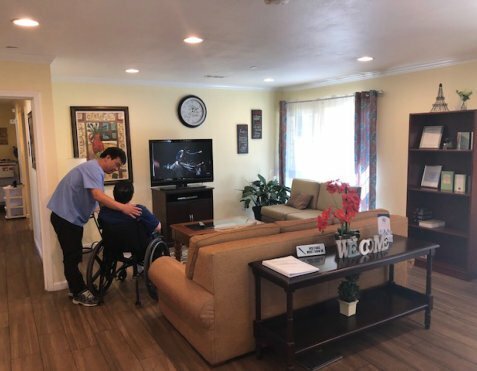 Family members are able to gather in the living room with the patient, take them for a wheelchair stroll in the neighborhood, or have lunch on the patio. Those who are bedbound due to their condition are in a room that best resembles a bedroom at home, and they and their family are encouraged to personalize the space. These surroundings support a sense well-being for all. There is truly no place like home, but Agape Congregate Living is the next best thing when subacute care is needed. This entry was posted in Improve a Person’s Health and tagged emotional comfort, Healthcare, subacute care. Bookmark the permalink. Do not hesitate to get in touch with us. You can directly reach us via the contact details provided below. You may also visit us in our facility.